Gourmet gift baskets—a Dash of Thyme specialty! Send a hand-crafted gift filled with Italian goodies just perfect for the foodie in your life. 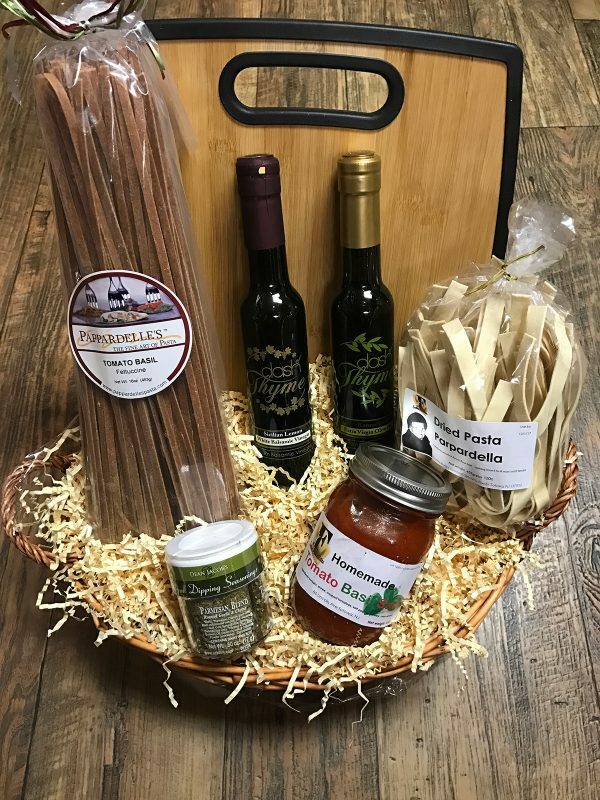 Your basket may include some of the following: pastas, sauces, seasonings, cutting boards, dipping bowls, serving essentials, cheeses, gourmet olive oils and balsamic vinegars. Please note that contents may vary from those pictured and are subject to basket size and price. Medium gift basket shown in photo.